Hey guys! Here's a post I have managed to prepare in between my holidays for you to read. A few months ago I was casually having a browse in Boots as you do, and came across this product. I picked it up as I had not seen it before and it caught my eye particularly because of the fact that it said it was a, micellar solution. I'm sure you guys who reads beauty blogs has heard practically everyone rave about the Bioderma Sensibio H20 Micellar solution, however, it's not that easy to get hold of, so I thought I'd give this L'Oreal version a go. I got this free with my Boots points which was another bonus for me, yay! 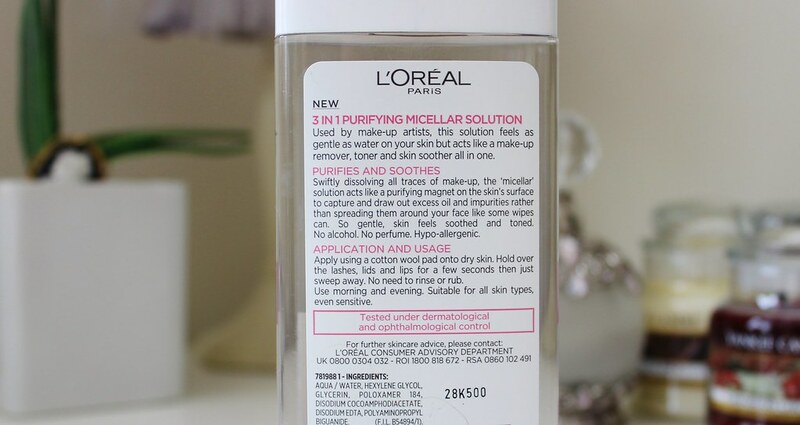 The L'Oreal Skin Perfection 3 in 1 Purifying Micellar Solution claims to, remove all traces of face and eye make-up as well as, toning and smoothing skin's overall appearance. I have used this a few times now on a large cotton wool pad to remove my day's make-up. The solution feels really refreshing on the skin more so than make-up cleansing wipes do. I also love the fact that the product feels like it's getting deep down in to the skin to really remove the make-up in it's entirety. To remove my eye make-up I held the pad on my lids for a few seconds before rubbing gently. I have to say, the solution did sting my eyes which I wasn't impressed by. I hate when make-up removers sting my eyes, as this is why I tend to stick to removing my make-up using cleansing wipes followed by a facial cleanse. It wasn't an unbearable sting, but it did feel uncomfortable. 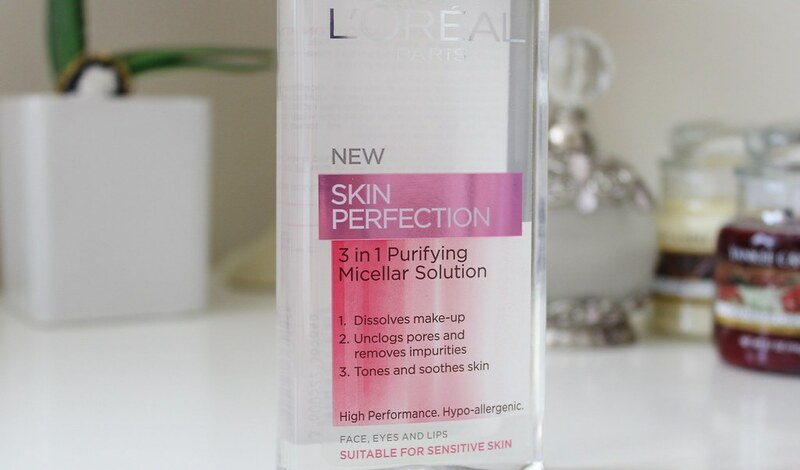 The L'Oreal Skin Perfection 3 in 1 Purifying Micellar Solution is a cheap, £3.32 from Superdrug so I do think it's worth it. I haven't tried the Bioderma alternative so can't compare. Have you tried both products? Which one do you prefer?